SD: What motivated you to write this book? DS: A few things. First, I love to ski. And second, personal experience. 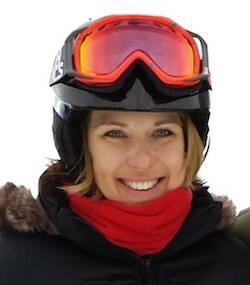 A few years ago, I had a ski day where I didn’t feel that great or focused. I’d eaten a small breakfast some time earlier, and I realized I’d probably run out of fuel. So I went into the lodge, had a bagel, and I felt loads better when I went back out. Now, I’m a dietitian who works with a lot of athletes, and I know the right things to eat at the right time, but I still neglected this for myself. So I was pretty sure that people who aren’t dietitians aren’t fueling up the right way to optimize stamina, strength, and mental focus on the slopes. The sports nutrition resources out there for skiers are for competitive athletes. This book is aimed for recreational skiers who want to get the most out of their ski day. Skiers spend a lot of money on lift tickets, the right gear, and so on, but something as simple as eating the right things at the right time can mean a few more hours on the slopes each day, fewer injuries, quicker muscle recovery, and just a better ski day. 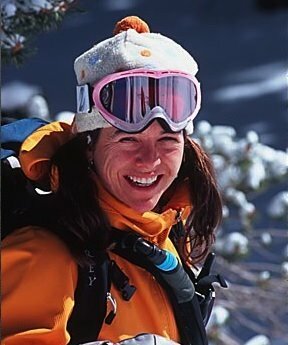 SD: Are skiers nutritional needs different than other athletes? And if so, why? 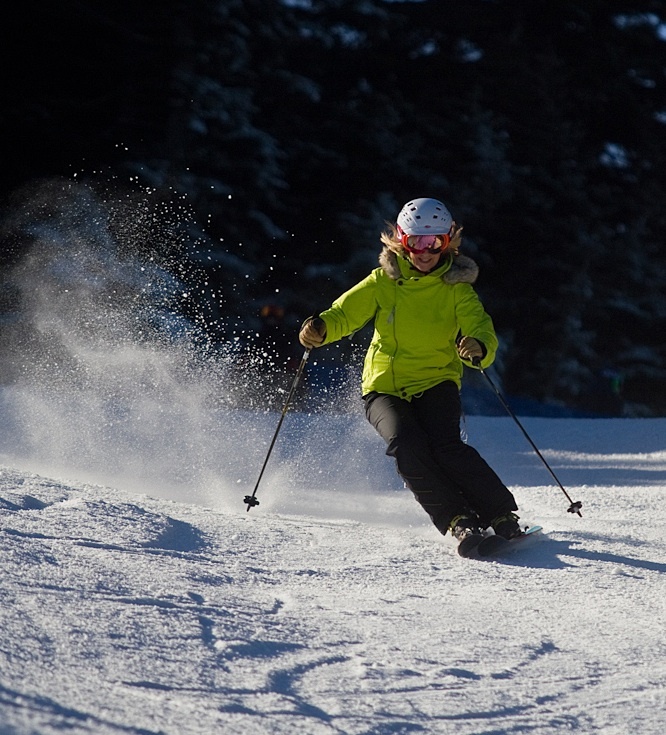 DS: Skiing involves both cardiovascular and muscular endurance plus a lot of mental focus. Making sure you are eating the right mix of nutrients and timing meals and snacks is so important to make sure that none of these suffer. In the cold, skiers may not feel thirsty, but because of the cold, dry air, and especially at high altitude, hydration is so important and can be harder to keep up with than for other sports. SD: The book has a lot of great info, but one of the things that surprised me the most was your mention of beet juice as a preventive for altitude sickness. Really? DS: Yeah, beet juice! It can be a little “challenging,” as we say in the nutrition world, but it really works and there have been multiple scientific studies that back this up. It also helps with endurance. Unfortunately, you need to drink about 16 ounces for it to be effective, which isn’t going to happen for many of us. And cooked beets don’t work; they have to be raw, which is what beet juice is made from. A better option is to go with one of the powdered options, plus it travels way more easily. My personal favorite, and I am not compensated by them in any way, is Beet Elite cherry flavored powder. You just mix it with water and drink it like a shot. SD: Did you create all the recipes in the book? DS: I did create them. These are all recipes I’ve come up with over the years with my main job, Nourish Family Nutrition, for cooking demonstrations, cookbooks, and just for fun. My family and friends were the tasters. The breakfast smoothie is a family favorite and my teen daughter loves the tart cherry cocktail apres ski; I just make hers without vodka. SD: Were there any clinkers? DS: Oh, yes. The beef stew I made with purple potatoes was such a colossal failure the whole family talks about it every time I make beef stew! Purple potatoes look super cool, but never ever use them in a stew. The whole thing turned this very unappetizing blue color and no one would eat it, even though it did taste good. SD: Which recipe is your favorite and why? DS: My personal favorite is the Sweet Potato, Peanut & Kale Soup with Chicken & Black Eyed Peas. I seriously could eat this every day in the fall and winter because I love the combination of flavors and it’s a complete meal in a bowl. It freezes really well so you can make a bunch and then freeze for later. I have brought it in a thermos with me for lunch while I’m skiing. 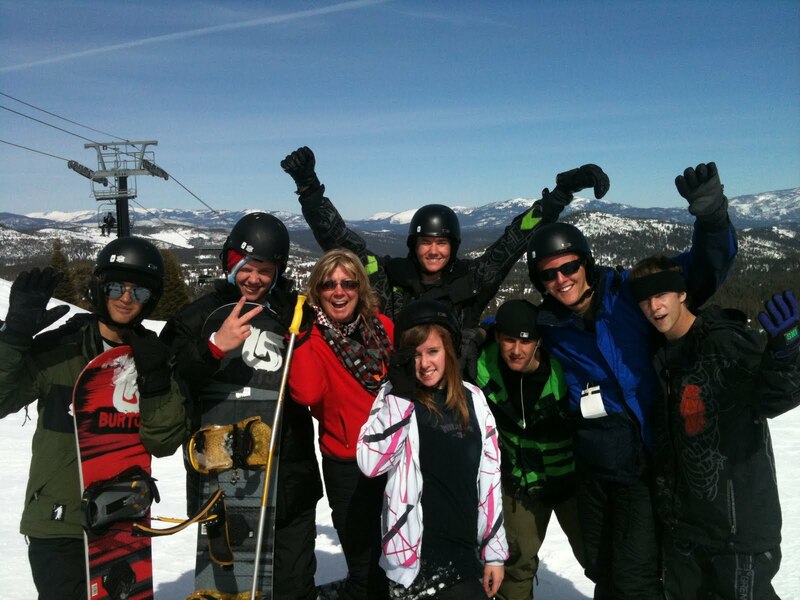 SD: I notice the apres-ski staple, beer, isn’t included. What’s your opinion of alcohol apres ski? DS: Nope, I didn’t include beer, but I did include a recipe for a tart cherry cocktail. But nothing at all against beer. I am all for alcohol apres ski, as anyone who has ever skied with me can attest. I don’t advise drinking for the first couple of days when adjusting to high altitude and of course, overdoing at any time can lead to a bad ski day the next day. A good rule of thumb is to have at least one glass of water for every drink you have. SD: How can someone get a copy of your book? 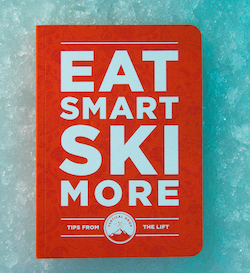 DS: You can buy it directly from my website, eatsmartskimore.com, and it’s in several ski and book stores. PreviousEight Questions Skiers Get Asked All The Time.